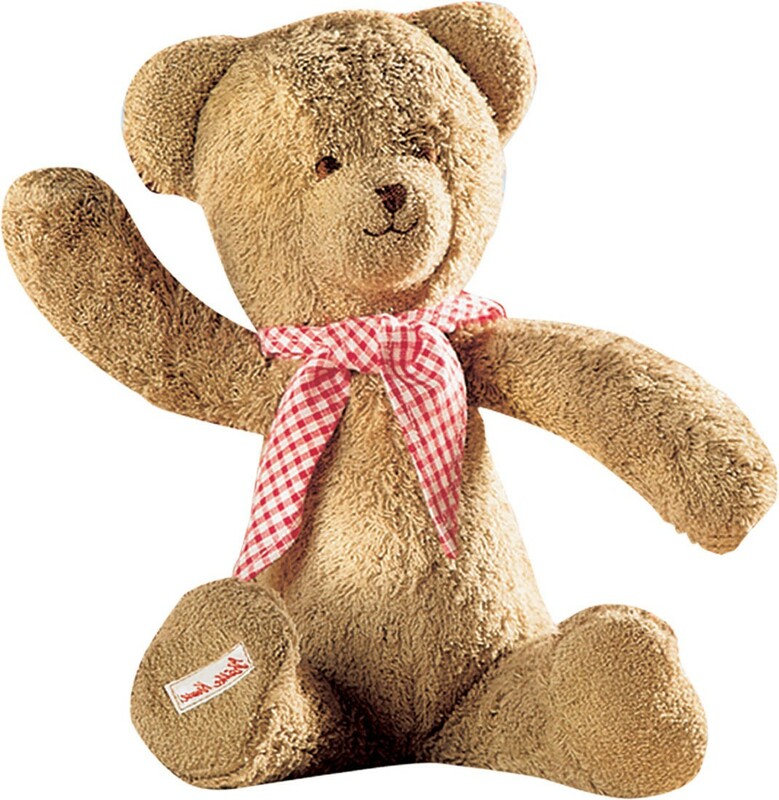 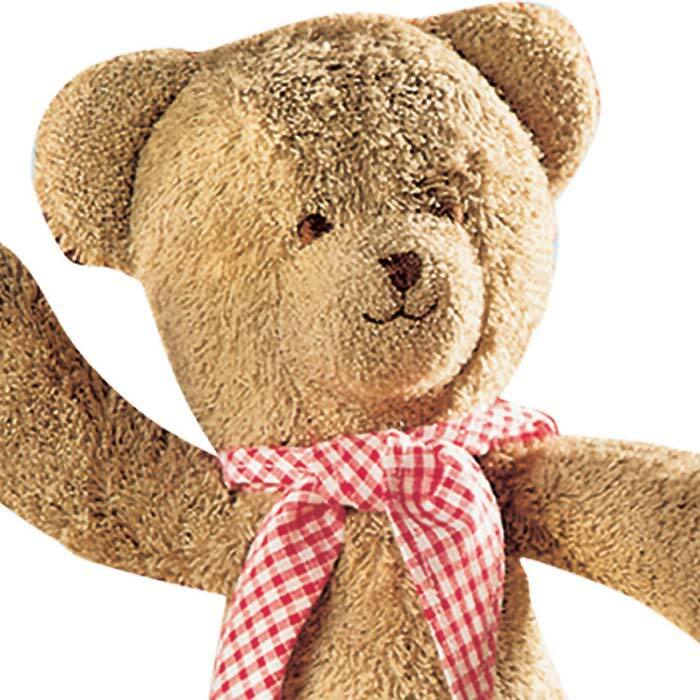 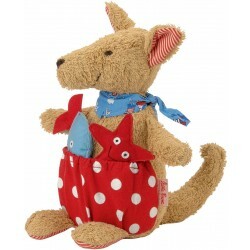 The Classic Kruse Teddy Bear is a long-time European favorite made from soft cotton terry and filled with fiberfill. 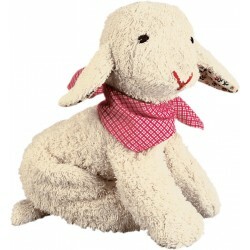 His face is hand embroidered and he wears a red and white checked neckerchief. 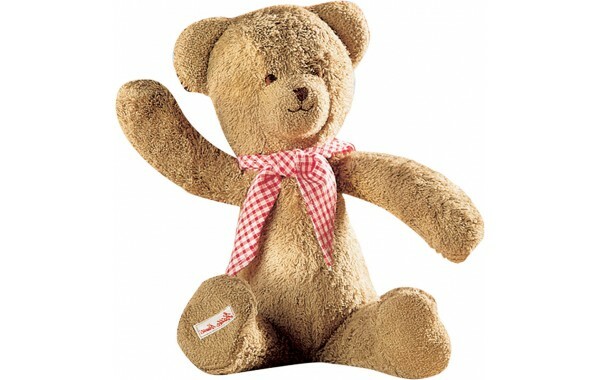 The arms and legs dangle when the bear is held and allow it to be placed in a sitting position. 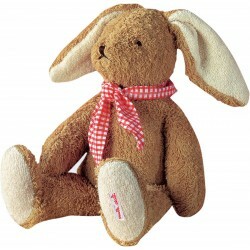 Sure to be a faithful and reliable friend and companion.